Mark McCallister carpets appreciate that flooring isn't something which can be bought online, you want to see it, feel it and match it to your existing furnishings. 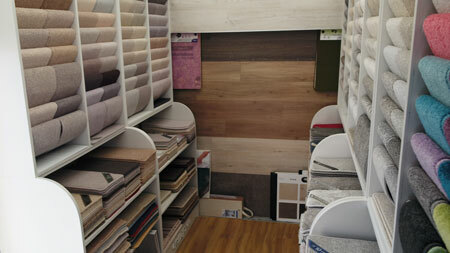 That's why we offer the unique service of letting you view samples in the comfort of your own home thanks to our new mobile showroom. We will visit you at home with our extensive range of carpets and vinyls, measure the areas and give you a quotation for your new floor. All free of charge. 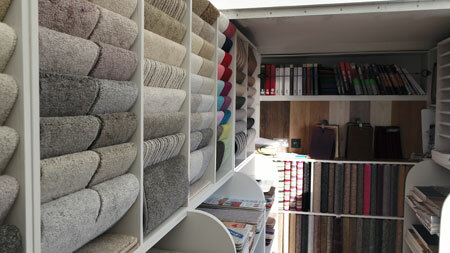 Most of our carpets and vinyls can be supplied and fitted within one week of placing your order.